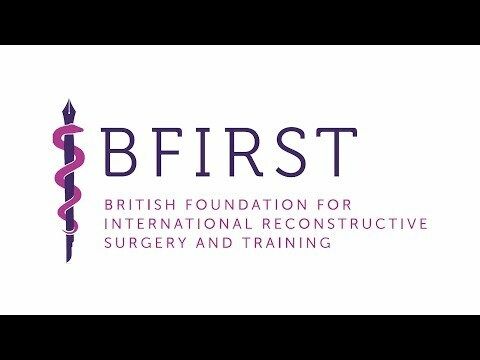 BFIRST’s vision is of a world where reconstructive plastic surgeons and hospital staff in poorer countries, together with teams including nursing and other related professions, receive training and have the necessary supplies to be able to perform reconstructive surgery and rehabilitate patients. BFIRST’s mission is to train surgeons working in some of the poorest countries in the world. Through reconstructive plastic surgery, we aim to release some of the world’s most vulnerable children and adults from a state of poverty caused by a deformity or a disability. Untreated burns frequently result in severe deformity and disfigurement, and a life of destitution and marginalisation. We know from our experience and training that surgery transforms lives for the better We know that many deformities and disabilities can be corrected by reconstructive plastic surgical techniques. We know that untreated hand injuries, for example, result in loss of function, loss of income, and the ability to look after yourself and your family. help in the future. It is important to us that we train surgeons locally and help to develop their infrastructure, so that they become self-sufficient in providing sustainable life-changing procedures for their own communities. We know that we can learn, train and develop from working in poorer countries We understand that BFIRST’s work can be mutually beneficial. We become better surgeons ourselves from our experiences working to develop practices in poorer countries. We will understand better the basic importance of our work, will be better at working under pressure and more able to think laterally, and will form meaningful cross cultural teams built on mutual respect and understanding. First World Wars, through to present conflicts, transforming countless lives. We want to ensure that the benefits of reconstructive surgery reach as many people across the world as possible, particularly in the poorest countries, and that as many people as possible understand its importance and its potential to change lives for ever.